Free full 1-year license key for Roboform Everywhere on 48 hours giveaway. Roboform Everywhere is password manager with synchronization support on all devices (PC, Mac, Android, & iOS). Current price full license key the software is $39.95. Roboform Everywhere is competitive software for Sticky Password that also multi platform supports. With this tool just need one password to use all accounts. You no longer have to remember passwords or re-enter them. 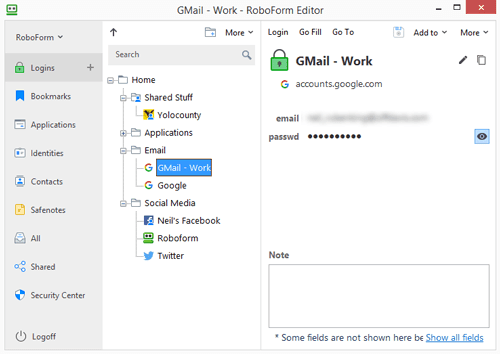 RoboForm Everywhere allows you to securely store passwords locally on your desktop, laptop or online and accessing them using Android, iOS, Windows mobile devices. As mentioned above, the offer for a short time only. Available many license keys for everyone with 1-year active code. Giveaway link Roboform Everywhere: visit the giveaway page! The offer is valid for new users only. And you can get free 1-year active activation code after follow the process. Go to the promotion page then click “DOWNLOAD ROBOFORM EVERYWHERE NOW”. Register or create new account to get free 1-year license key. Download and install the software and use the serial code to get free active 1-year. To activate the license you received, go to www.roboform.com/key. Enter your RoboForm account and then click Sign In. Enter the RoboForm serial license key and click “Submit”. Fill in all details requires.